“Side by Side” director Chris Kenneally. On Friday, August 31, after an opening day screening of his documentary Side by Side, about the intersection of film and digital video, director Chris Kenneally faced a Q&A audience at Lincoln Center’s new Elinor Bunin Munroe Cinemas. Located across from the Juilliard School on W.65th St., the complex is an integral arm of the Film Society of Lincoln Center. Kenneally had arrived from a similar audience session downtown at Greenwich Village’s Quad Cinema. I arrived early, but bought the last ticket for the screening in the “Amphitheatre.” Descending the stairs of the high tech but intimate room, I saw not a white screen but a dark reflective surface that looked to be about thirteen feet diagonally. I turned around to check the projection booth and ports. There were none. Looking back to the screen, I read the word Panasonic across the bottom of the bezel. It’s a television—and I saw the whole room reflected in it. The 152 inch Panasonic Plasma screen at Lincoln Center Munroe cinema. At first, appalled at the prospect paying to watch a movie on a bloated TV, I caught my breath. Okay. It is a documentary shot on digital video about the ongoing “dialogue” between film and video. How appropriate to watch it on a giant sized TV, one that I later find out had required considerable finesse to just get into the theater. I found a place among the bleacher style seats (no armrests, no drink cup holders—a bare bones altar to cinema.) One man a few seats away was juggling a box of popcorn. Afterwards, the audience (and who else actually matters) seemed to think the screen looked great. But at a sticker price of $680,000 it may not be your latest home theater upgrade unless you're James Cameron. The small advance ads for the documentary highlight the names of six major directors and the host/producer Keanu Reeves. Keanu Reeves with Martin Scorsese. I believe the first dramatic feature shot in HD was the 1987 Julia and Julia, directed by Peter del Monte and photographed by the great Fellini collaborator Giuseppe Rotunno. The camera they used was the Sony HDC 300, an 1125/60i analog beast. It’s the same system that Paul Schrader and I had considered in Tokyo for our 1985 bio-film Mishima. Instead, we opted to shoot the events of the writer’s last day in 35mm. with the Panaflex being used handheld. My own first video feature was The Anniversary Party (2001). We chose the Sony DSR 500 at PAL resolution, the only HD system, the Sony 900, being beyond our budget means. The 15 perf Imax film frame next to 35mm frame. One section of Side by Side that cuts to the quick revolves around the issue of on set video display. Some see the “too many cooks in the kitchen” footprint of multiple HD monitors as antithetical to the close, even private, collaborative vision between director and cinematographer. A few auteurists like Robert Rodriguez seem reluctant for anyone's input. The reality is that almost everything about digital filmmaking presents a double-edged sword, though time will necessarily resolve the thorny issues now besetting us. Initially, musicians, then editors, and now the cinematographers have had to confront the digital tide. 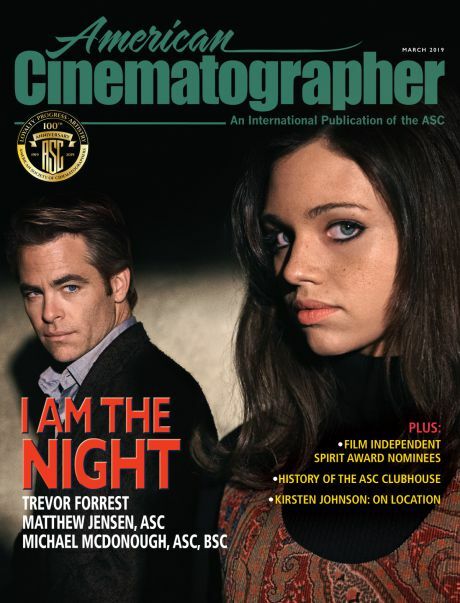 Cinematographers may have been the most privileged by long being more immune to the vagaries of on set arbitration and gamesmanship—but that is changing. Some veterans have sailed into an analog sunset rather than turn over the rudder to a recent film school grad producer who stares at the on set HD monitor like an apparition from on high. Others, especially young filmmakers, see a limitless horizon of possibilities promised by the “democratization” of digital media. I have had two digital glitches in this brave new world. Several years ago, while shooting a night scene with the Panavision Genesis, the first time director asked me repeatedly to make a shot darker by turning off light after light. What little illumination that was left, registered at the dead bottom of the waveform monitor. I explained there would be no way to “lift” it later but I could easily make it darker in the DI. The director “knew” what he wanted it to look like and what he saw on the HD monitor is what he wanted. Jump cut to the finished film---there’s not much on screen but a foggy ambience, and sound. I photographed another HD project with the Alexa framed at 1:85 aspect ratio. The editor thought it would look “cooler” at 2:40 and began to re-format the dailies, shifting the frame line up or down, shot to shot. Over a quarter of the composition was simply matted out on the Avid screen at his whim . I only found out about it when I saw a DVD of several edited scenes several weeks into the shoot. When I asked him why he had recomposed the photography, he said that nobody framed for 1:85 anymore: the film (an indie) would get better distribution at 2:40. It was with the intervention of the producer that the intended format was restored. 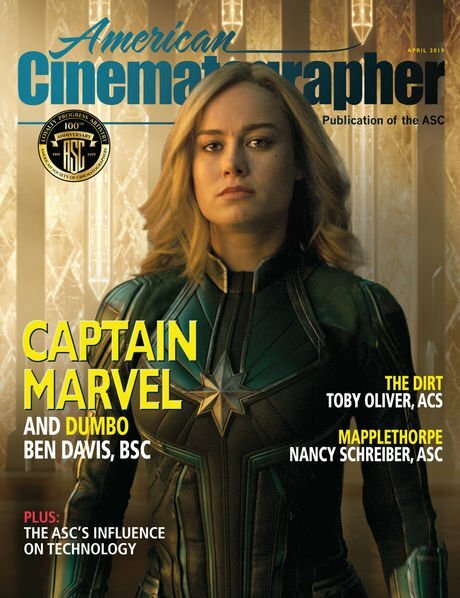 This brings up the question: "Are the cinematographer's images photography or data?" These are incidents I can not imagine having happened during the analog film era—yes, there were occasional differences about lighting choices or slight blow ups to reposition a shot—but nothing so egregious as what is happening more and more to young cinematographers, including being excluded from the answer print or DI process. Developer tanks at Technicolor Lab, Hollywood. What is your reaction to the attention given to the film so far, not the least of which is A.O. Scott’s lead review in the NY Times? The attention that Side by Side has received has been incredible. The reviews have been so positive. It’s a great feeling. I hoped there would be an audience outside of real movie enthusiasts and industry insiders. We wanted to make something that would satisfy people who already had some knowledge of the subject, but would also be accessible to outsiders. We wanted to make a movie that was engaging and entertaining as well as educational. Hopefully we succeeded. How did you and Keanu Reeves come together to make Side by Side? How has your prior experience as a post-production supervisor given you a unique perspective in making the film? Having been a post-production supervisor since 1998 in NYC, I was able to see a lot of the technological changes first hand. For about thirteen years I’ve been explaining what it was I did for a living to friends and family, and I had an idea of what people would be interested in, and what areas might need a further explanation. I also had connections with folks at Technicolor, Sixteen19, Deluxe, Goldcrest and others that I could reach out to for advice and help. In the “Special Thanks To” crawl at the end of the film dozens of recognizable artists are named that you must have interviewed, but who are not included in the film. How did you decide to include or exclude a filmmaker? It was a really difficult editing process. We interviewed about 140 people and only 70 made it into the movie. We had too many great interviews, which I guess is a good problem to have. We tried to include enough different people so that the conversation is covered from a wide array of angles. And at the same time we want the audience to feel that there are characters in the doc and people that they want to hear from again and again as the doc moves through it’s story. Clearly, the interviews not used constitute a significant historical repository. Are there plans to “archive” unused material or make it available on the Internet or to film scholars? We are currently figuring out a way to organize all the complete interviews so that it is a resource for film students, scholars, fans and anyone interested in delving a little deeper. There is talk of a series of books with the raw interviews as well. Speaking of “archiving,” not a lot of time is given in the film to the subject of long term archiving. It’s just not a “hot” topic. I have found in my own discussions with colleagues in the Association of Moving Image Archivists (AMIA) that the archivists seem to be the only ones who are really sounding the alarm about the fragility of digital media, and too few filmmakers are listening. 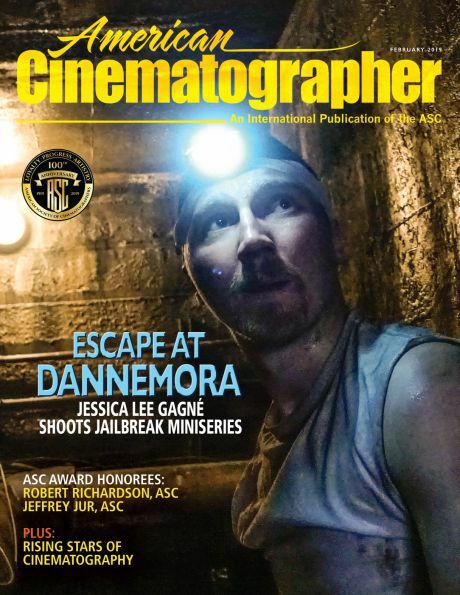 Some of my own cinematographer peers have not read the two Digital Dilemma reports by AMPAS. I wonder if you interviewed any archivists. I did read much of the Digital Dilemma as part of the research for the doc. Archiving is definitely a big issue. I’m not sure that I agree that we didn’t give this area enough time in the doc. There is a chapter near the end where we deal with this. We don’t really give any answers, but we get the opinions of Scorsese, Soderbergh, Lucas, folks from Kodak and The George Eastman House, and many people about archival. It is definitely a section of the doc that people really react to. It’s scary to think that things are moving forward so quickly and that no one has a really solid answer for digital archiving. Many people feel that film is still the best way to archive moving images. Archived film at the George Eastman House, Rochester. What cameras and formats did you use in making the documentary? We shot Side by Side digitally. We used Panasonic HPX 170s for the interviews. Our DP Chris Cassidy also used a Canon 5D for a lot of the B-Roll footage. Are there any film prints or is all exhibition done digitally? How are you archiving your own materials? So far we only have digital elements. Keanu and I definitely want to make film materials at some point for archival. Also, I want a can of reels to store in my closet. What is the future of film prints for exhibition? Do you have any thoughts about digital cinema or large TV screens replacing digital projectors, such as the one in Lincoln Center where Side by Side opened? I think film prints are going to become the exception. Exhibition is definitely going digital. I wasn’t at the screening at Lincoln Center. I saw the giant TV screen after, during the Q&A. It was a great looking space to see a movie and the people I spoke to afterword said that it looked really nice on that 152" plasma screen. Do you have any personal thoughts about the film/digital dialogue you would share? Few people have had as broad an exposure to a full spectrum of opinions as you. What would you ask yourself if you were being interviewed? Digital is definitely on the rise and I think it will pretty much replace film as the primary means of creating and exhibiting motion pictures. I love film and I’m amazed and inspired by the images and stories that artists have been able to create with it. I hope that it stays around as a choice. I would (and do) ask myself how I got so lucky and was able to work on such an interesting and inspiring project! I definitely learned a lot making this doc. It was an amazing experience and I really appreciate the opportunity I had to be able to meet and record the thoughts of so many wonderful and talented people. It was a lot of work, but I would love to do it all over again tomorrow if possible. A few weeks before the film opened you showed the film to the members of the American Society of Cinematographers at their Clubhouse. What was the reaction and did you glean any insights? Screening the doc at the ASC was a great opportunity. There were many cinematographers in the audience that we had interviewed. I was definitely nervous for the members to see it. These guys are the true experts. I was ready to be crushed in the Q&A! Luckily everyone seemed to enjoy Side by Side and a lot of the folks there expressed to me that they were really happy that someone had made a doc on this topic. It was fun sharing a drink with the members and their guests and knowing that there are people out there that are going to make sure that the art of motion pictures will continue to advance artistically and technically. It’s great to know that there is a group of people that won’t accept inferior images and are going to continue to fight, invent and make sure that the images we capture, manipulate and share are of the highest standard. It was really inspiring. Cinematographer Chris Cassidy, Justin Szlasa, Chris Kenneally, Keanu Reeves,photo by Stephen Ukas-Bradley. Next time: Part two of Side by Side will be thoughts on the film/video discourse from colleagues and friends.